The Economic model of Cuba is a Socialist one. Most resources in Cuba are state controlled and the grand majority of Cubans work for the government. In recent years with new legislation the private employment sector has emerged. Currently private ownership of cars and homes is legal again allowing owners to sell, rent and purchase property. Today up to 25 percent of the cuban citizens work in the private sector. The new Entrepreneurs or “Cuenta Propistas” as they are known have evolved and now own restaurants and other service oriented businesses that have sprung up all over Cuba. 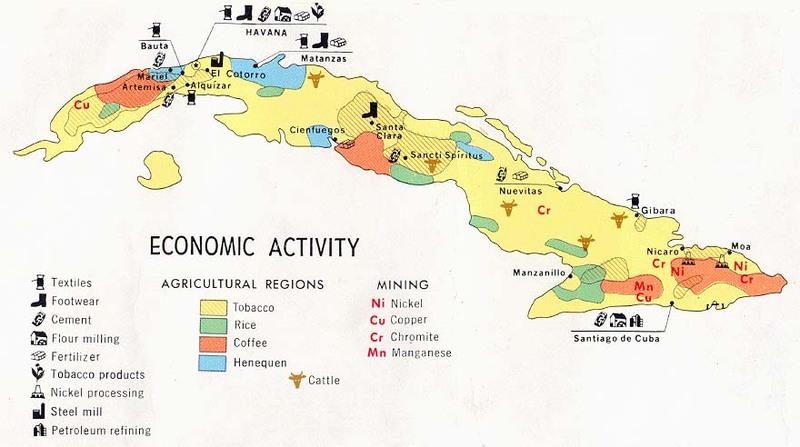 Cuban Industry is mostly comprised of Industrial and food products. Exports include Tobacco, Rum, Seafood and Sugar to name a few.